If what you're looking for is a conveniently located hotel in Chiang Mai, look no further than The siri house. From here, guests can enjoy easy access to all that the lively city has to offer. No less exceptional is the hotel's easy access to the city's myriad attractions and landmarks, such as Larm Chang Temple, Chiang Mun Temple, Wat Chiang Man. every effort is made to make guests feel comfortable. To do so, the hotel provides the best in services and amenities. A selection of top-class facilities such as laundry service, tours, currency exchange, 24-hour front desk, safety deposit boxes can be enjoyed at the hotel. Non smoking rooms, desk. Besides, offerings ensures you have plenty to do during your stay. Enjoy unparalleled services and a truly prestigious address at the Siri House.The Hotel is located about 10 minutes walk from the night market. Good Restaurants are in easy reach. 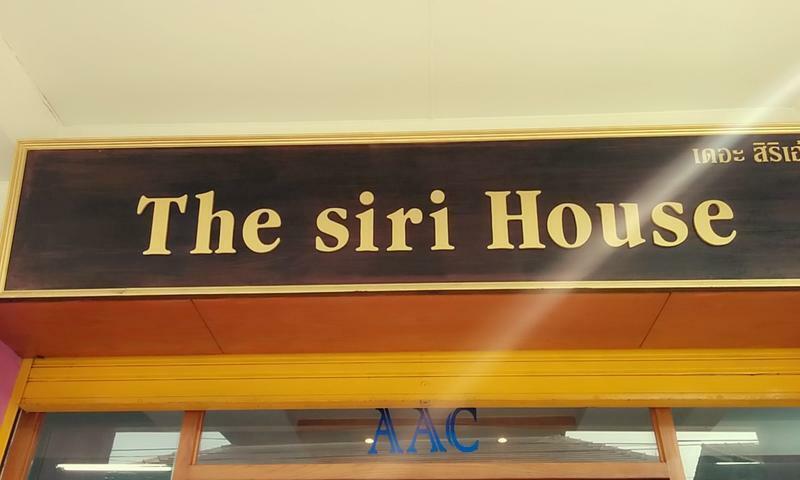 If you come from airport and want to go 'The Siri House'. You should call Taxi or Tuk Tuk and then to tell him. The Siri House located is in the old city, near Wat Phra Singh and opposite De Lanna Hotel.